Tree lopper v Arborist: which is cheaper and better for you? A tree lopper is an unqualified, non-certified person who cuts trees for a nominal fee. And their objectives are purely short-term. They—typically—neither know nor care about the long-term health of the plant they are cutting. An arborist, on the other hand, thinks about both the short- and long-term effects on the trees they work on. 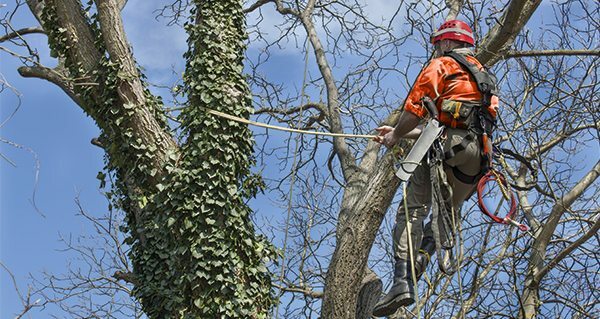 Unlike a tree lopper, an arborist is a certified professional trained in the science and practice of proper tree care. Tree lopping is the act of indiscriminately cutting tree branches to stubs, as well as removing the leaves from the tree. 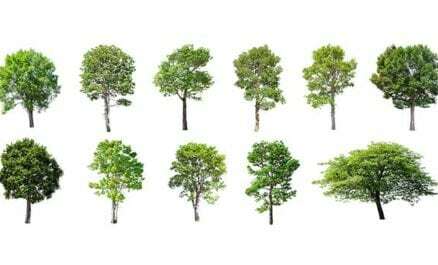 The problem with removing 50%-100% of foliage is that leaves help to feed the tree. So, removing all the foliage from a tree can actually starve a tree. On paper, a tree lopper looks cheaper. Except that they are only providing you with short-term gains. So, you’ll have to call them back more frequently. In the long-term that adds up and you will find yourself calling a tree lopper more than you’d like. 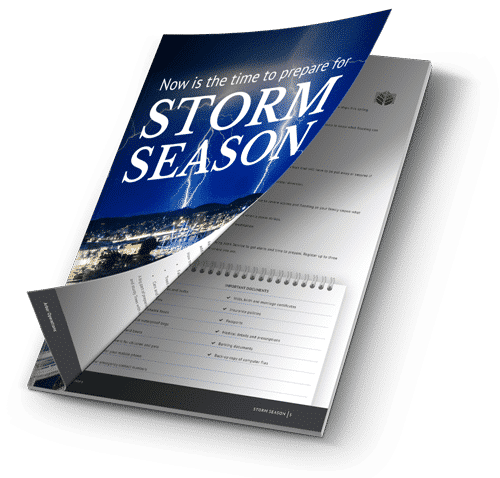 It is also highly likely that a tree which isn’t taken care of properly can become irreparably damaged. The only way to deal with a tree in that state is to have it removed for safety reasons. 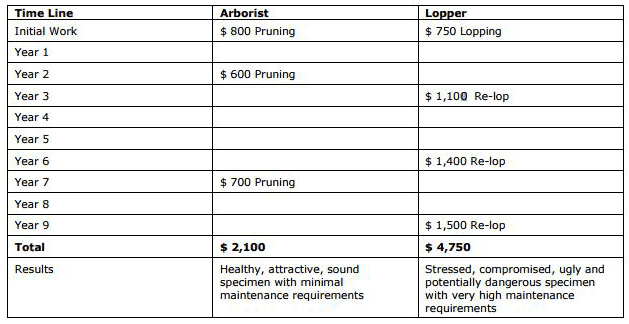 On paper, an arborist is more expensive. Because you’re getting short-term results with the long-term health and appearance of the tree in mind. 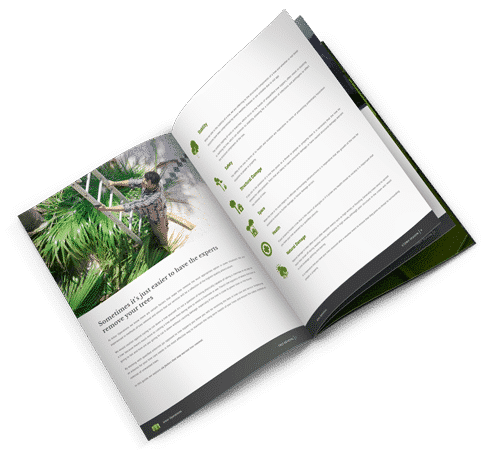 This means fewer visits are needed from an arborist, and there’s more chance of your property looking good and staying healthy for longer. Below is a table, which gives some indication of the kind of maintenance requirements a lopped tree will generate. We have used an example of a Forest Red Gum tree 18 metres high with a 500mm stem diameter, located on a typical suburban allotment. If you choose Arbor Operations, we ensure your place is as clean as it was when we arrived, at no extra charge. And if you would like any mulch left behind, we are happy to accommodate you. When considering the right service for your needs, call Arbor Operations today. 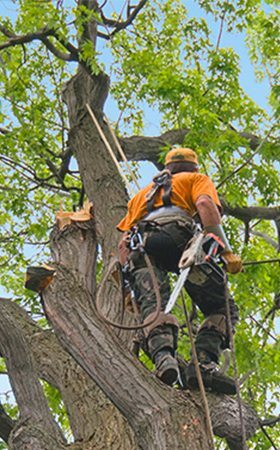 Our services range from tree trimming and tree pruning to tree removal and commercial maintenance. 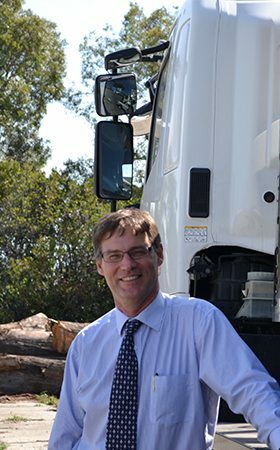 If you would like to know more about how Arbor Operations can help you, please contact us on 1800 652 862. This table is an estimate only. It does not consider inflation. Further, we have had to assume for the exercise that borers, termites and decay were not major problems ultimately necessitating the tree’s removal.